NYSC Mobilization List– For you to be able to register for the 2019/2020 NYSC exercise you must first be mobilized. So, it is very important that you check the list to ensure your name has been uploaded and you have been mobilized. This post contains a detailed guide on how to check the NYSC mobilization list. 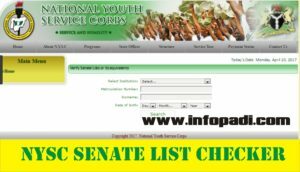 Note that the mobilization list and senate list can only be checked via the official website of the NYSC, please follow these steps properly. Next thing you must do is to select your institution. Put your date of birth as it is in your school records. Finally click on the “search” button to view if you have been mobilized. After the page has loaded, if your data appears it means you have been successfully mobilized, so you can go ahead with your online registrations and other required activities. NYSC procedure remains the same that is there would be two (2) batches namely Batch A and Batch B. Each batch would have two (2) streams that is stream I and stream II. 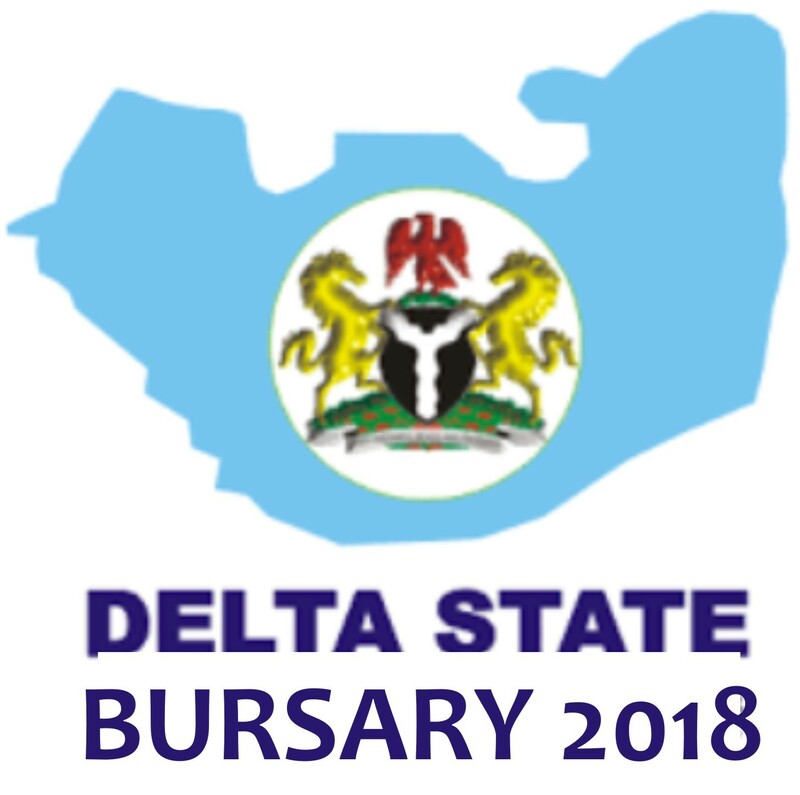 Notice to all applicants- If you have not seen your name on the mobilization list, do not panic, there would still be more uploads of names and hopefully you will be mobilized before the period is over. Now that we have properly guided you, we will like to introduce to some of the common terms used in NYSC and their meaning. For more NYSC UPDATES, subscribe to this site. Let us make your NYSC journey easier, we will join you on the entire process journey as your info PADI. We will do that, just stay with us. I too is above 30, i saw my name. Will be mobolized? You can collect it now if you paid online, visit the NYSC portal and print it out or you go to your school and collect it. I have been trying to check if am already mobilized but they are telling me no record found and my school has sent d pcm names to them. 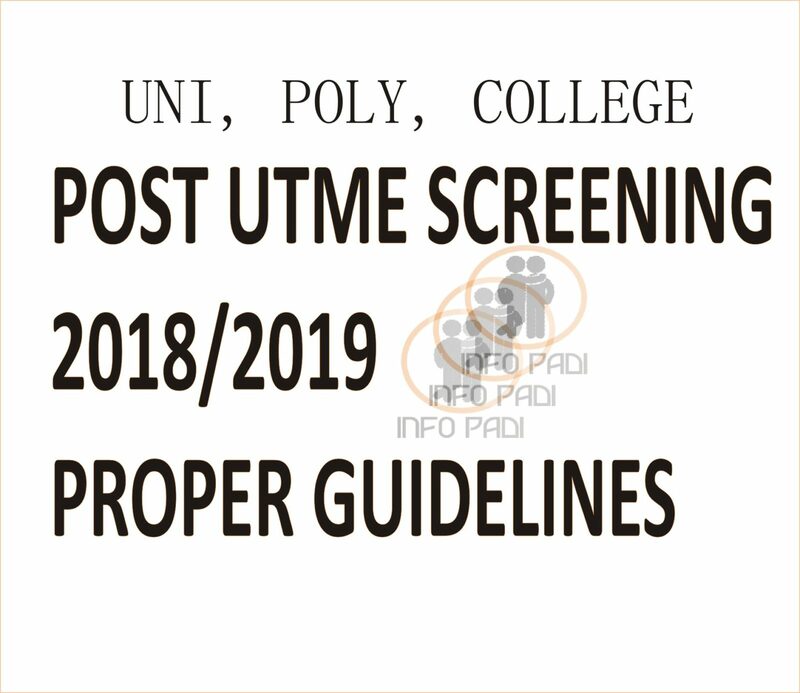 Check if you put your details correctly and also check the names released on your school portal. My school made an error in d jamb reg no and as a result its showing no record found. How do I rectify this and is it still possible to go with this batch A? Your going with batch a is solely dependent on how fast the issue is resolved. We advice you contact your school department in charge of NYSC and lay a formal complaint. They will best direct you on what to do. My name has been uploaded, but on d Senate list record nt found. Check to ensure that you put in your details correctly and check again. They use the date contained in your school records. Have you checked if your DOB is above the specified/allowed? Please my school said der was an error why uploading that’s why some of us name isn’t showing on nysc portal, we r told dey r trying to upload back, please is it possible since d deadline for uploading has passed. Anything is possible but the portal would be closed on the 6th of April. Please is Nysc still allowing schools upload names at the moment?? please how can i solve this issue, there are no options and list of tertiary institutions and courses for me to select on the NYSC portal… only fields for primary and secondary school. please if I may asked, is NOUN students going for services this 2018 batch A. As long as the students details have been uploaded to the NYSC they can go for service. Please is it true about this Noun and service? Because there’s this conflicting report that the president is yet to sign the bill. How den will they be mobilize? My school have uploaded our name but I can’t see my name but I send my necessary things to jamb for correction of name but still I can’t found it. The next batch would be in the third quarter of this year. That is when you can see your name if the errors have been successfully corrected. Is there true that, their is no more stream 2 in June July NYSC? Is it now batch B ? If yes, are they going to reopen the NYSC Portal for other schools that has not uploaded there students list? Pls some1 should reply me. Please i just want to know when is batch b going for servic. Pls when is the next batch? Because on my Dashboard it displays( your orientation camp has been scheduled to July. You will be notified when to print your call up letter. Those dat has just been posted der name dis month, can dey go by july? No date has been set for now. I checked senate list n saw no record found, I have create profile with jamb ,printed my jamb addmission letter. I checked my jamb status no problem. check in my school list university of Abuja those to go for Batch B and my name is there but could not access it in NYSC senate list. What could be the problem? The batch B list has not been uploaded by NYSC yet. Is it true that, for those of us that are waiting for batch b should go to jamp office and do jamp regularzation? i have the jamp i sit for since 2009 can i use it? Is it true that, those that are waiting for batch b should go to jamp office and do jamp regulization? i sit for my jamp 2009 can i use it? Pls I got a call from my school that nysc is requesting my jamb admission letter and result but i dont have any, I only did regularization and obtained jamb number. What will I do? Please is the remaining batch A list going to be merge with others…. Making us batch B or what? We cant tell for now. Stay with us for the right info. pls have they upload the Senate list, because I can’t check name, it is showing me no record found, contact your school. Please how can I move my service to the next batch.I am not prepared to go for July. Will NOUN upload 2018 graduates list in the upcoming batch B mobilization? Please when will 2018 July batch names be uploaded on the Nysc Senate list. Because my name is yet to be uploaded. please when we can expected the Senate List. ? You can check the list. Pls I want to kw if there is any idea of wen d list will be out? Is the Senate list for nysc batch b 2018 out now? Hi infopadi I’m from lautech concerning the scheduled date for registration for Nysc on 10th-16th…I’m yet to see my name on the Nysc senate list but I have done every necessary thing…my name is on my school senate list and I’m also on the jamb mobilization list..what could be the problem? And also can I go ahead and register on that said date? I don’t understand what going on registration begins tomorrow but up till now no senate list…. Should we just register like that? please help me out. May name was mobilized by my school but am yet to see my name in the Senate list for batch B. And it’s showing “No Record found, verify from your school”. What could be the cause? When will the 2018 batch B call up letter be ready? Pls I mobilized In my school for batch b ……my name is on the nysc senate approved list… But I want to go for service by November, what should I do? Please is the issue with Fidei and NYSC resolved? Is there any batch for November this year? How can we check for foreign students please …. Please when will nysc portal be open for batch C to start their registration and when will it be closed? No exact date has been announced. Please I want to confirm if batch c senate list is out? 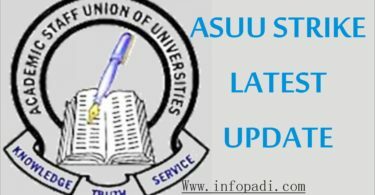 How can Jamb admission letter for A direct entry students be obtained. I did my jamb regularization first week of september but i have still not gotten mail from jamb that its out.. i hope i will still go with batch c? Please,are we to input our dates of birth ourselves or the dates of biith of the applicants are there already while registering for nysc?I want to see if something can be done as regards my age.I want to serve.My name is in the senate list. please will there still release another list cause my name didn’t show up in the ones that came out. please. I Did Jamb Regularization Sept 5 And My New Jamb Registration Number Was Sent Hours Back Please Can I Still Be Mobilized For Batch C? Please is study abroad and i want to do my NYSC, what should i do? Please someone should help me concerning my nysc service, before I graduated from usmanu danfodiyo university, Sokoto. I did my jamb matriculation list and the name that I used is Aluko Adegbenga samson and it was successful but when my school will release our names it was Aluko Samson Adegbenga and since then have been trying to search for my name on the senate list but no record found is what I always got, please what should I do nw?? Please someone should help me out. Good morning sir/ma ,i found my name on nysc list but mistake on the date of graduation .what i have on my result is 16/12/2015 but on nysc i have 16/12/2016.what do i do? Hi info PADI, I did jamb regularization and it has been approved. Now I’m able to print my admission letter but not gone back to school for mobilization since my name appears on the NYSC Senate list. Why? Secondly my status on NYSC Senate list is still saying “candidate not admitted, cannot register.” Even after regularization has been approved. What could be the issue? Hi, good morning.. I graduated July 2018 and I clock 30 sept.. Any hope for NYSC? I have been trying to check my name on the Senate List but cannot upload. The message I recived is that Jamb Number has already been used. (You cannot register, Contact your Institution) used by none. I have contacted my Institution but they too cannot do anything about it, they have asked me to reprint my admission letter wish I equally do. please advice me on what to do. You can get it from the institution you graduated from. Thanks, but I’m trying to check my name In batch A 2019 senate list mine was not coming out can any body help? Yet to see my name on the senate list. My names is Paul Barnabas I register for NYSC mobilization but coulding get my name appear in batch A or Batch B why is it so? …and again the status on the Senate list reads “jamb number has already been used(you can not register……) Used by non” Please what does this mean? Speak with our admin on our facebook page.